More than 250 police and specialist staff are now focused on the investigation, which also involves Australian detectives and member of the FBI. Ardern will announce within the week what the changes to gun laws will be but a ban on military semi-automatic weapons is almost certain to be among them. "I've seen reports that people are in fact already doing this. I applaud that effort and if you're thinking about surrendering your weapon, I would encourage you to do so." Ardern said New Zealanders questioned the availability of military-style semi-automatic weapons. Wairarapa farmer and Green Party candidate John Hart said he dropped off his semi-automatic rifle at a police station "no questions asked" yesterday. "Until today I was one of the New Zealanders who owned a semi-automatic rifle. On the farm they are a useful tool in some circumstances, but my convenience doesn't outweigh the risk of misuse," he said on Twitter. Another Twitter user, Fay Hag, said: "Daughter of crack-shot food-hunting parents, I have used guns from the age of nine. Today I requested that those guns be handed in for destruction." Police asked people who wanted to surrender their firearms to police to call ahead, given the current security situation. Hunting & Fishing New Zealand confirmed yesterday it was pulling all "military-style" semi-automatic firearms from sale nationwide in the aftermath of the Christchurch attacks. 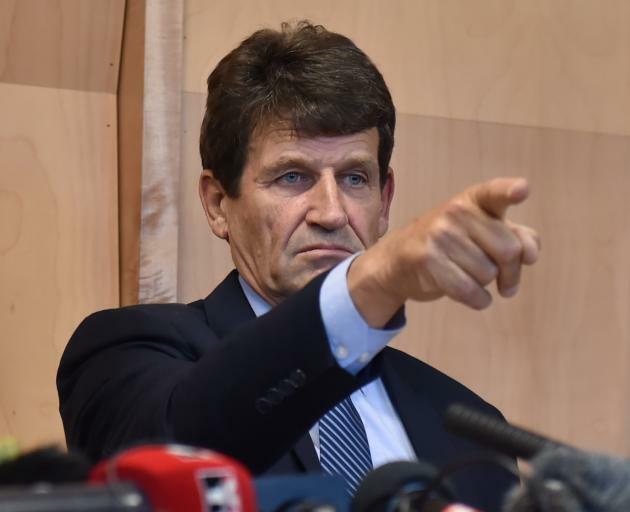 Chief executive Darren Jacobs said the company broadly supported tighter gun controls in New Zealand. Meanwhile, Gun City owner David Tipple yesterday confirmed his business sold four weapons and ammunition to Tarrant. He and his staff were "dismayed and disgusted" by Friday's shootings but he said he did not feel responsible. Gun City has stores across the country and also sells online. Tipple said Tarrant bought his guns online but they did not include the AR-15 he allegedly used to gun down worshippers at the two mosques. Trade Me announced it had pulled all listings for semi-automatic weapons ahead of any potential ban. 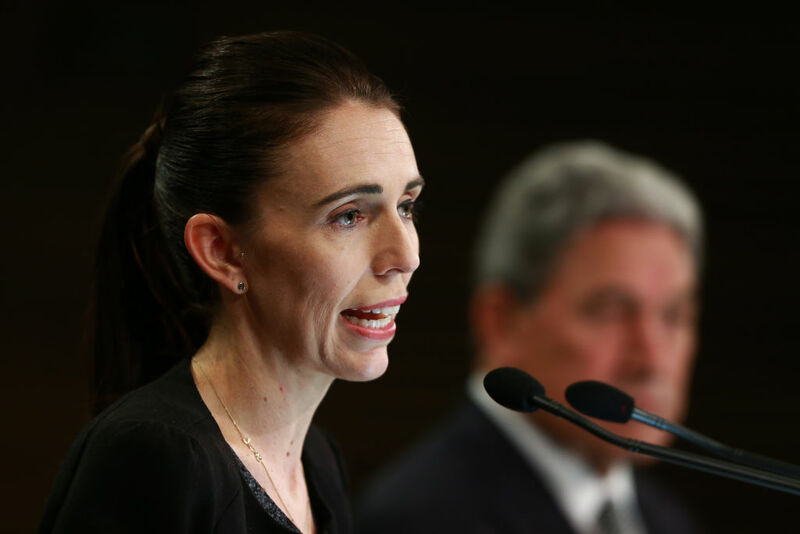 Ardern also yesterday called on social media platforms to take some responsibility for the sharing of hate speech and the incitement to violence, following revelations that shooting suspect Brenton Tarrant had livestreamed the alleged rampage through the mosques. A review of agencies including the Security intelligence Service and Government Communications Security Bureau will look at Tarrant's use of social media. Ardern said Facebook had so far removed around 1.5 million versions of the livestream from the internet. Tarrant's Facebook and Instagram account were also taken down. Ardern said it was apparent Facebook was able to take direct action on hate speech. "I would call on our social media platforms of all variety to demonstrate the kind of responsibility [on posts] that both lead to these events and … those who perpetuate the messages in the aftermath." Musician Neil Finn announced on Twitter yesterday he was quitting social media in the wake of the attacks. "These platforms have enabled the spread of hateful ideology and I will not participate any more." An 18-year-old man appeared in court in Christchurch yesterday accused of sharing the livestream and posting objectionable photographs in relation to the attacks. He was remanded in custody to reappear next month. Foreign Minister Winston Peters, who appeared alongside Ardern at yesterday's press conference, suggested New Zealanders' lives could be put at risk by people screening video of the massacre, including Turkish President Recep Tayyip Erdoğan, who has played extracts at an election rally. Peters said it misrepresented New Zealand and was unfair. He said he had made that clear to Turkish Vice President Fuat Oktay and Foreign Minister Mevlüt Çavuşoğlu, who have been in New Zealand to support three Turkish citizens injured in Friday's terrorist shooting. Turkish elections are due to be held on March 31 and Erdoğan has used some footage of the attack in a televised election campaign rally to highlight Islamophobia. Peters emphasised that the changes to gun laws being announced this week were a Cabinet decision, meaning they had the support of New Zealand First. Details of the changes and their consequences are still being ironed out but Ardern said they would be revealed before Cabinet met again next Monday. "This ultimately means that within 10 days of this horrific act of terrorism we will have announced reforms which will, I believe, make our communities safer," Ardern said. "As a Cabinet we were absolutely unified and very clear that the terror attack in Christchurch on Friday was the worst act of terrorism on our shores. It was, in fact, one of the worst globally in recent times," she said. Asked whether the changes had the support of New Zealand First, which previously opposed stricter gun control, Ardern said Cabinet had been "of one mind". Peters said "it was a Cabinet decision and that's the total answer". Unfortunately people who have guns for self defence don't think! Anyone can enter their property, overpower them, take the gun, and shoot them!